There are many different ways to sense a psychic experience. Last year, I found myself unemployed for a month after I graduated college. I left my high-powered, successful position selling insurance and took weeks spending time in nature quietly by myself, taking yoga classes, writing, and meditating. Taking the time out helped me explore many different ways in which the spirit world contacts us. I found that there are many ways spirit communicates with us if we take the time to notice and listen. Sometimes in this fast track world of information, we often overlook that something we know to be true may be from a psychic awareness. Understanding many different avenues in which spirit communicates with us helps us to bring more goodness into our daily lives by listening to our guides and higher self. I find the more connected I feel, the more loved I feel as well as the more love I am able to share with others. I will speak from my own experiences, but please feel free to share your own, as we are all different. Clairvoyance: This ability is one of the most popularized in Hollywood. Clairvoyance is when you have clear visions from your spirit guides. While some psychics have these experiences at random, others induce this experience, When in meditative states (sometimes while exercising), I’ve noticed I may have a vision that seems almost like a day dream. Weeks, or months could go by until one day, the exact circumstance I had envisioned came true. Others can have distinct visions of the past, whether in this lifetime or ancient lifetimes. When I first realized I could be very visual about my past was when I enrolled in traditional hypnotherapy. I found myself experiencing high anxiety that I wanted to be treated for (but later I realized this had to do with ignoring spirit and my psychic abilities). When the hypnotherapist took me back to my childhood, I could remember everything extremely visually and clearly in that meditative trance. After my sessions completed, I then found I could meditate about past lives in the same way and come out with clear, visual experiences about my ancient past. I had stopped believing in reincarnation going through traditional religious and government education systems. Now, I have no doubts. Often the vision would come first, then after some historical research, I would always back up my findings. Claircognizant: This ability is often the most unrecognized, as well as the most common psychic experience. The divinely guided ideas are not audible, but a knowingness will be experienced. Before actively pursuing the development of my psychic abilities, many people dubbed me a know-it-all. I have always had this innate ability to have an understanding about a deep topic, but often I could not explain how I got to this conclusion. I often have a ringing in my left ear, and I found I have been experiencing “wisdom downloads” from spirit. I will have ideas pop in my head and they will prove to be very successful. My School of Business experience definitely speaks to this ability. I was always a group leader in my classes, and often the idea-girl behind many projects. I never did any formal research. I often came up with ideas and worked with people who would then apply the research needed for the business course to back up the idea. I was always confident going into group meetings because I knew I would come up with something beneficial. While other groups and students would research ideas first, then decide, I often did things backwards, and it always paid off. I always received excellent grades when following through on the ideas I received. I definitely fooled my group members to think I put a lot more research into these ideas as well. Everything worked out in the end. Another example would be when I just knew my dad was in the room while I was looking through old photos. I started dancing and got really excited. I couldn’t explain it and my roommate and my mother thought I was clinically insane. A year ago, Theresa Caputo, TLC’s Long Island Medium, picked me out of a crowd of 3000 people and confirmed that my dad wanted me to know that he was there when I was dancing around my apartment. Tears ran down my face because I knew in that moment I was truly psychic myself. Clairalience: Clairalience is experiencing a sense of smell for spirit to communicate with you. An example would be when I smelled my deceased dad’s cologne randomly, when there was no one to be found. I also found myself smelling cigarette smoke when there would be no logical explanation of where it would be coming from. I have memories as a child spying on my grandmother in her basement while she snuck cigarettes while doing her laundry. Later, without bringing up a word about the experience, a local psychic confirmed that when I smelled cigarettes, it was indeed my grandmother letting me know she was with me. Clairambience: This ability has to do with the sense of taste without eating a substance. While this ability is something I have yet to experience, many people have. An example would be tasting your grandmother’s favorite dish randomly. This is a way for your spirit guides to simply say hello. Clairsentience: Clairsentience is what many refer to as being an “empath”. You can just feel another’s experience. An example would be when you get a feeling you will get a call from someone you know, your phone rings, you look down and it is them. There a millions of examples of being empathic. I often had feelings about when my friends were down, despite their best fake smiles. People have often asked me, how did you know? The truth is, I could feel them. Clairaudient: Clairaudient is when you hear distinct voices. Sometimes they can sound like your own, or someone who is deceased. The key is to recognize if the voice is coming from your higher self and guides, or the ego. If you hear someone telling you to hurt someone else, that is a sign of mental illness and treatment should be sought after. When you hear a guide tell you to take a different route home, and later you find there was an accident on your usual route, that is divine guidance from your guides. Angels can be experienced as distinct voices or as a lighter version of your own inner voice. Telepathy is when you experience another human being’s voice in your own head. Having a connection like that can sound scary, but really high vibrational energy needs to be exhibited in both parties. Some have a fear of not having any privacy. The experience should be rejoiced in and not feared. The truth is we live more in a glass house in our thoughts than we realize. Our guides, angels, and God never judge us for our thoughts. Angels are non-denominational, and compassionate. They are here to help. Many of us will experience one dominant way for spirit to communicate with us and that is perfectly normal. If you desire to enhance your natural abilities, a good course of action is to recognize your strengths and work on expanding on them. Some people do experience a vast range of ways for spirit to communicate but will have a difficult time mastering without a focus. The key is to keep an open mind, clear your own energy with a guided meditation, crystal healing, or burning incense, and spending time alone to work on your gifts. Closing out any exterior distractions will help you reach new heights with your spiritual gifts. Please feel free to share any of your experiences. Namaste. All at once, the world may seem like its spinning out of control and may be overwhelming for the singular human being. Behavior patterns in society must be changed for the betterment of the planet. Thomas Jefferson put goal setting so wisely when he said “If you want something you’ve never had, you must be willing to do something you’ve never done.” The old paradigms of ego-centric thinking are no longer working for us. A shift from competition-thinking, greed, pride, control, and jealousy must be changed to compassion, generosity, self-respect, philanthropy, and a genuine love for all. Looking at the overall agendas and themes of humanity can help to make sense out of the appearance of chaos. Genuinely, humans desire stability and peacefulness. Peace on Earth is the major goal for our race. Many people have different ideas of what a Utopia on Earth would look like, consequently everyone has different ideas on how to get there. There are general goals that are common for the average human being to want out of life, and the answers for these goals can be found in our ancient wisdom. Abundance- People often desire to accumulate wealth. Wealth is not only monetary, but can be a wealth of knowledge, leisurely-time, and loving people in your life. The higher dimensions do not use money because everyone is sharing their resources, and manifesting what they need. In our recent history, human thinking believes in scarcity, meaning that there is not enough to go around. Many people hold the false belief that people profit at other people’s misfortune. This may have been true in recent events due to greed and a lust for power by many financial and political leaders. Looking at the hermetic teaching “As above, so below”, we understand that the laws of the universe are true in higher dimensions as it is here on Earth. Abundance is truly possible for all if we share this planet, and care for those who are hungry and sick. We can manifest our own wealth ethically, and use our resources to help the Earth in divine ways, like restoring nature, or helping the needy. Perfect Health- Could you imagine a world where disease no longer exists? Could you imagine a world where medicine is all-natural and free? There are many natural alternatives to curing cancers. One of my good friend’s moms cured her cancer by consuming a plant-based diet and completely using natural remedies, while doctors told her she needed to start chemotherapy immediately and that her cancer was terminal and inoperable. There are countless stories of many terminal illnesses being healed through a holistic approach. Why is it that mainstream belief is that being diagnosed with a terminal illness cannot be reversed? Pharmaceutical companies profit billions of dollars from diseases like cancer. Whenever there is a misguided notion, follow the money to understand the agenda. As someone who lost a parent at a young age to cancer, this is outrageous to me. My dad took the traditional route and lost his battle within 6 months. I talk to everyone I know about alternative and holistic medicine. Knowledge is power. Ancient teachings as well as recent studies show that the mind can also heal the body. The countless placebo studies show that we have the power to heal our bodies from disease. Teaching the ancient wisdom of the merkaba would also eliminate our need for gasoline. I first learned about travel using the energy from the body from “The Ancient Secret of the Flower of Life” by Drunvalo Melchizedek. 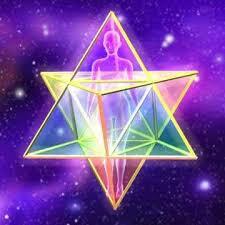 The merkaba is also discussed in “The Thrive Movement” documentary. Harnessing this energy can move you anywhere in time and space. Gasoline would be free and unnecessary for travel. Think of all of the wars over gasoline. All of this would be solved in a highly-developed spiritual society. Perfect Control- Earthly conflicts tend to stem from the need to feel in control. In our more recent history, control stems from the expense of other human beings, which has created conflict. Looking at our ancient wisdom, our divine heritage tells us that we are in perfect control of our own lives. Imagine a world where the need to control others for our agendas would be unnecessary. Through manifesting our personal desires to satisfy our needs in life, everyone would look inward for feeling in control of our lives instead of needing to control others out of insecurity. Wars would be a thing of the past. This affirmation helped me out immensely so I thought I’d share. We may not even be consciously aware that we often guard ourselves from experiencing the truth for protection. Sometimes it seems easier to take the road of least resistance. Sometimes it may feel easier to go along with the status quo even though your inner lie detector is going off. I find that seeing the underlying truth in every situation is key to protecting yourself. Putting on your blinders is a mask. The only person you are betraying when you wear a mask is yourself. Seeing the truth in every situation gives you clear guidance on what changes you need to make in your life. Human beings love to be comfortable and may shy away from acknowledging a truth, but seeing an uncomfortable truth and dealing with it will bring you a greater joy and peace to your life. Friendships that aren’t founded in integrity will be dismissed. Career choices that are out of alignment with who you are will be changed. Any seemingly problems in your relationships will be healed. Habits that do not help you with your life purpose will be dropped. There is beauty in facing the truth, no matter how uncomfortable you may initially feel. Let go.